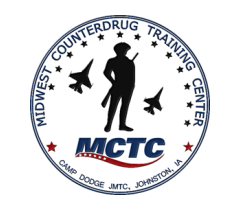 This course is aimed at the state local and federal criminal investigator/prosecutor and their support staff who specialize in narcotics investigations and have no formal training in financial investigations. It stresses the elements of the various financial crimes that stem from the laundering and accumulation of profits from the illegal narcotics industry. The theme of this class will be that these techniques can be employed to disrupt and dismantle drug organizations by shutting down their money supply. The techniques taught in this class stress the need to work parallel to normal investigative techniques and should be used to supplement all drug/narcoterrorism criminal investigation/prosecution. The interactive exercise involves a specific case scenario (with a dozen video scenes) that will allow the audience to apply the techniques of financial interviewing, identifying sources of financial information, financial profiles, and utilizing indirect methods of proving profitability in illegal enterprises. This can lead to the utilization of financial undercover operations, financial search warrants, and conducting money-laundering investigations. Upon completion of this course attendees will be able to determine how the presence of money laundering and currency violations can assist them in having a real impact on their narcotics investigations by shutting down these operations. Both narcotics organizations and narcoterrorism organizations can be identified and dismantled by seizing their assets and disrupting the flow of monies to the controlling parties both domestically and internationally. Narcotics-Related Financial Investigations is a 3 Day (24 Hour) course.